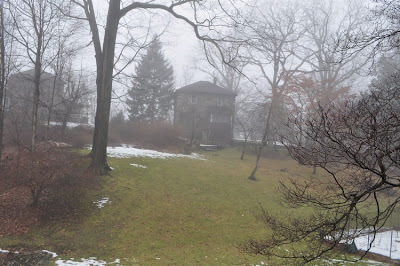 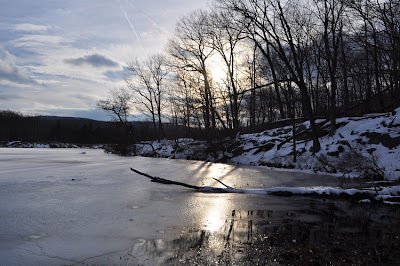 This was a cold winter day, and the temperature was in the teens. 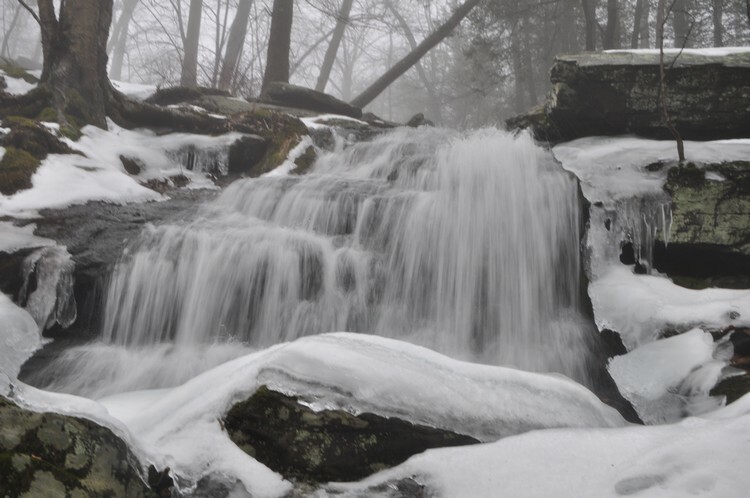 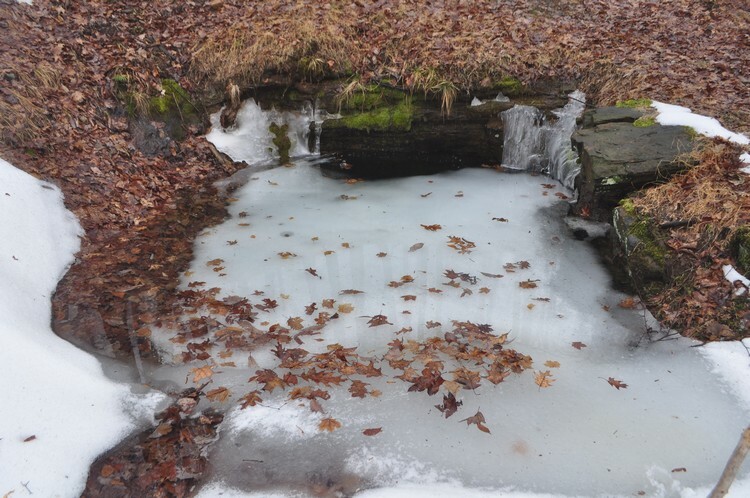 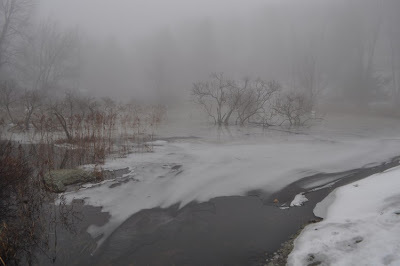 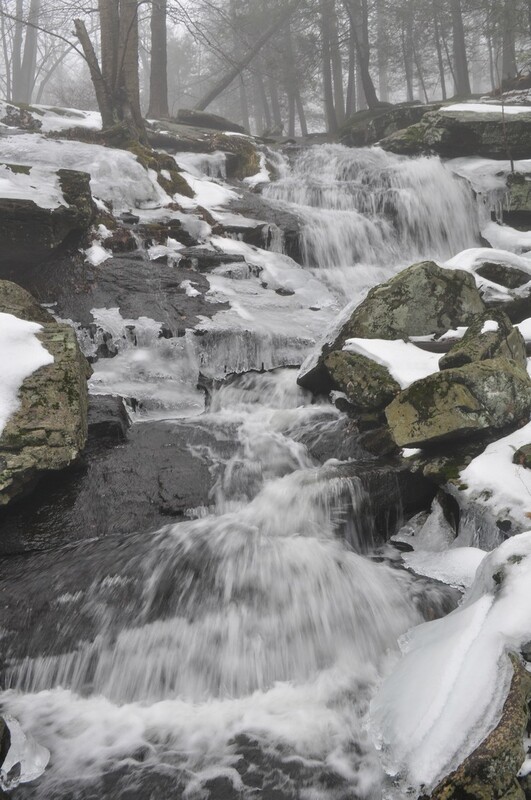 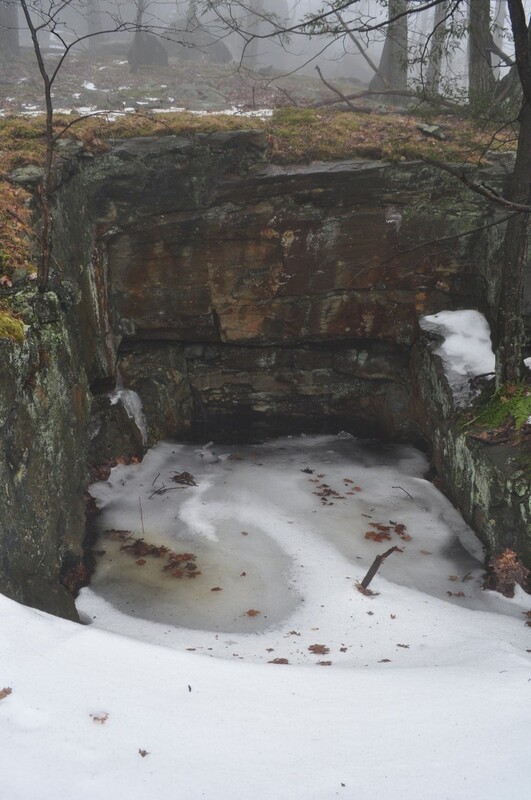 The ground was covered with snow, and all the streams were frozen. 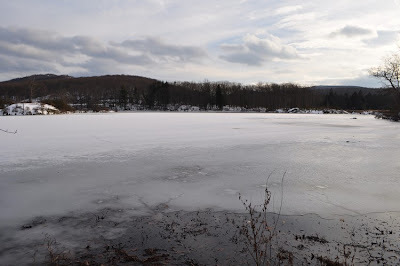 We had attempted to hike on a frozen lake, but they were still not posted as safe despite the weather being frigid all week. 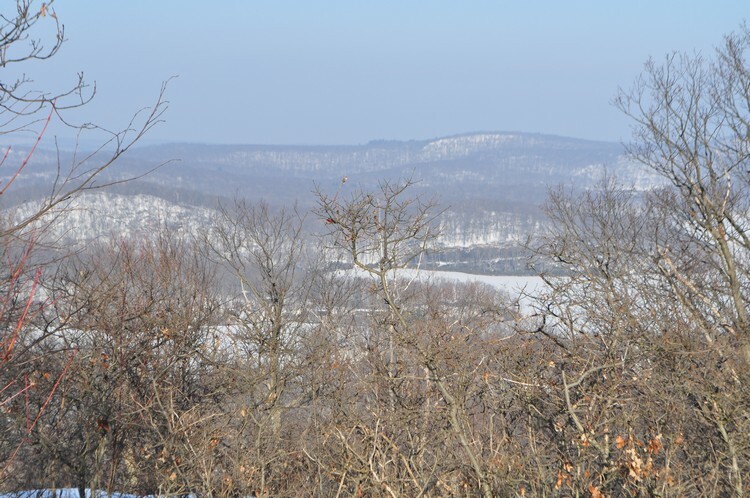 We parked on County Rt. 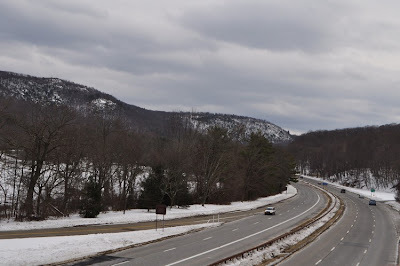 106 after Tom Jones Mountain where the road bends. This is where the Victory Trail starts. We took the Victory Trail for a short distance, as it passes through a beautiful Mountain Laurel Grove, to the Ramapo-Dunderberg Trail. 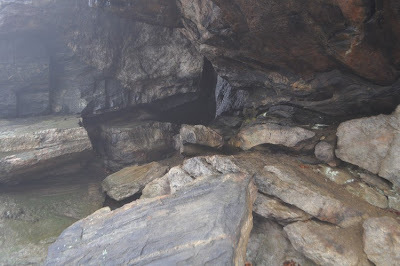 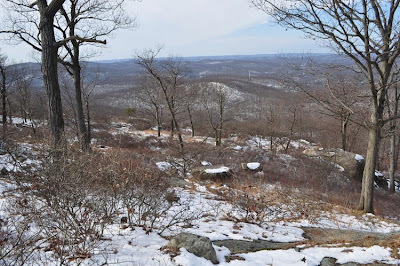 We then took the Ramapo-Dunderberg Trail up Parker Cabin, as it gradually descends up this scenic and rocky area. 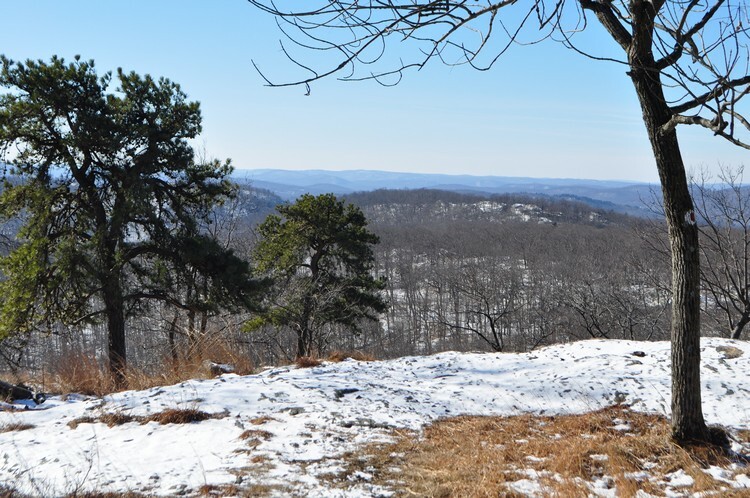 The summit of Parker Cabin Mountain affords two great views, one looking east and then a few hundred feet down facing south. 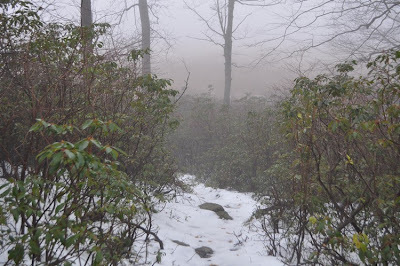 We then climbed steeply down the mountain, and took the White Cross Trail alongside the swamp to the White Bar Trail. 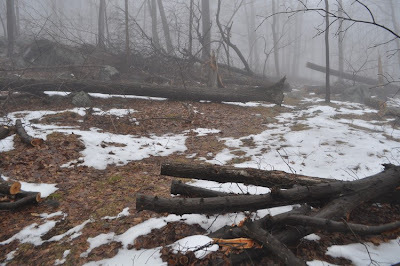 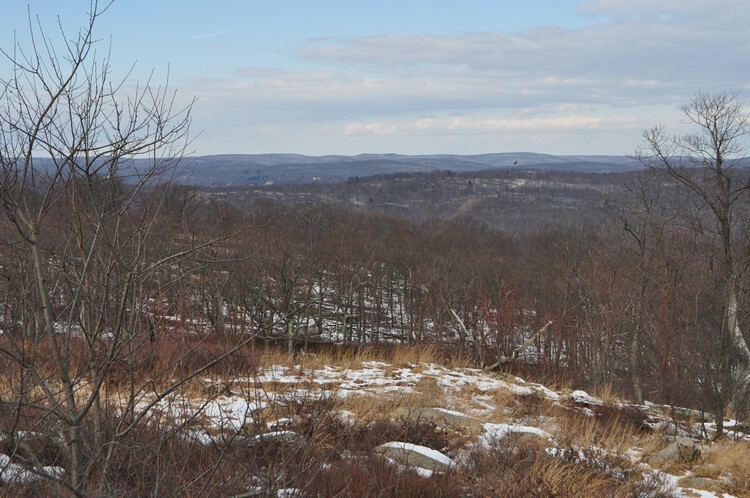 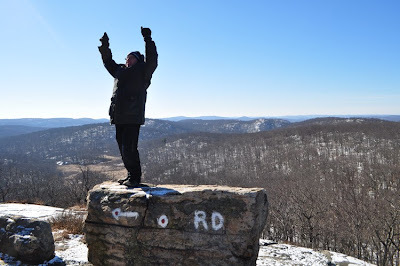 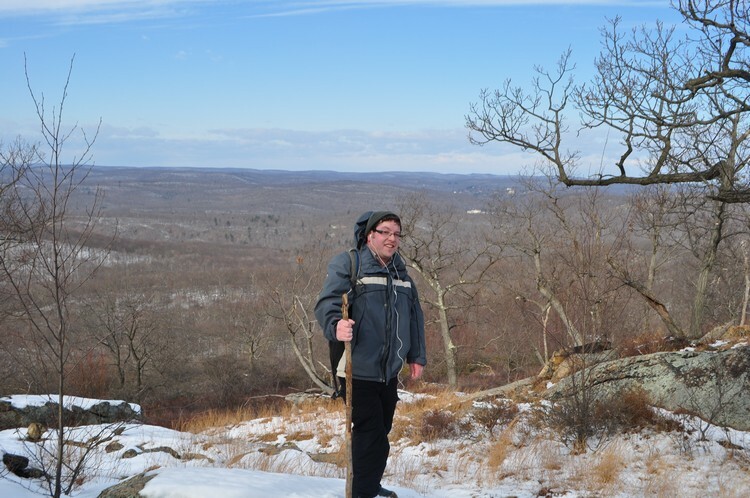 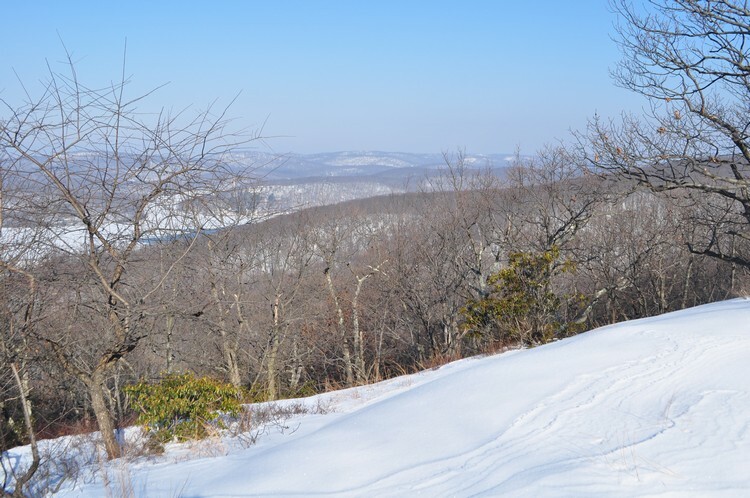 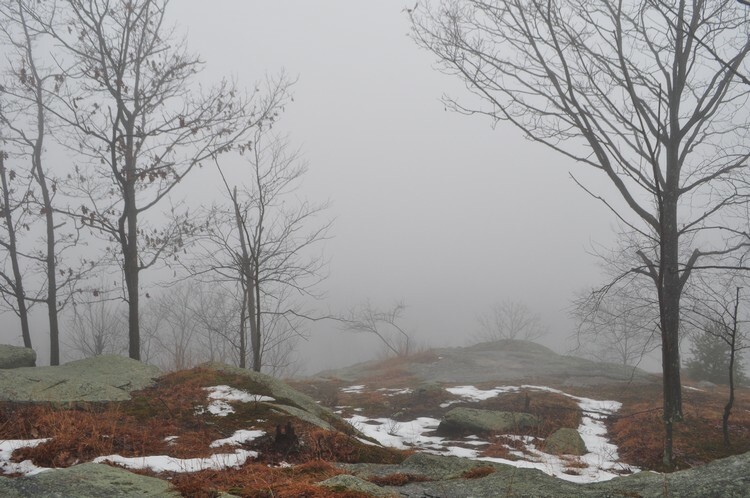 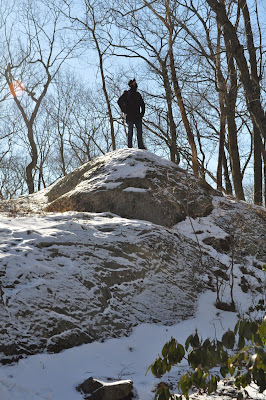 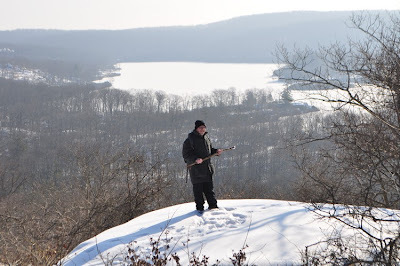 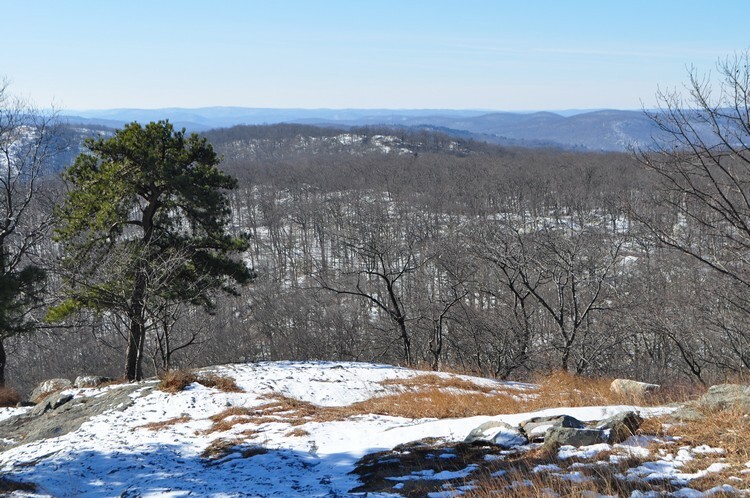 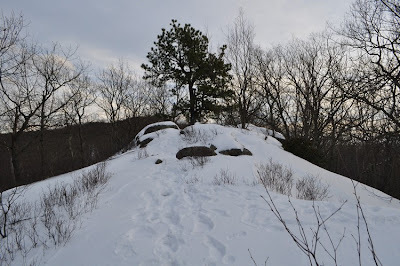 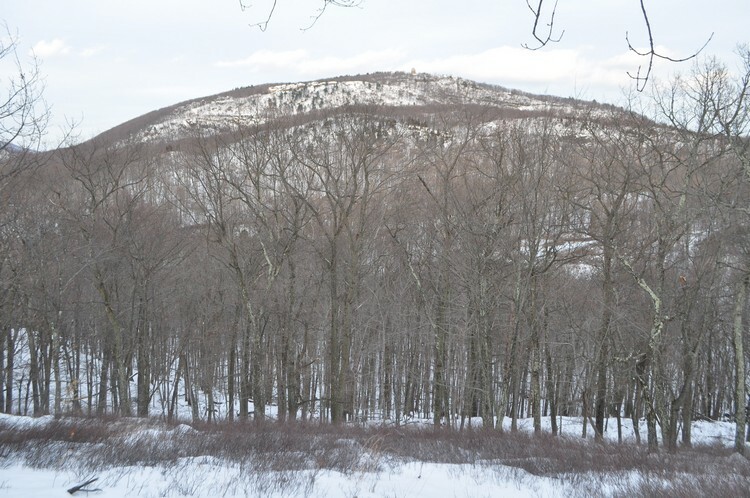 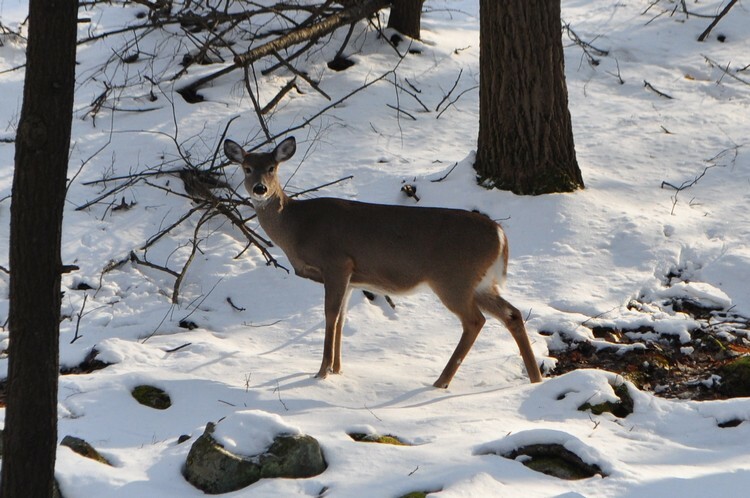 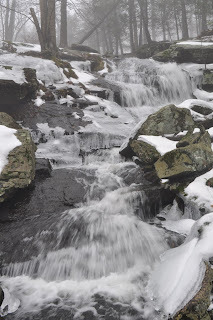 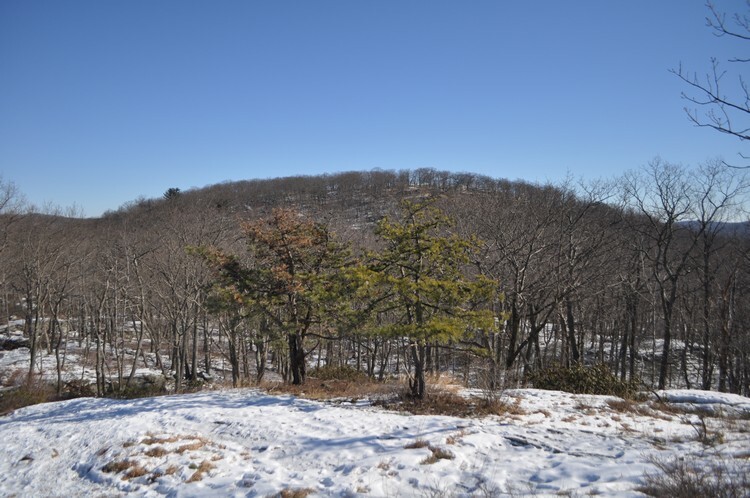 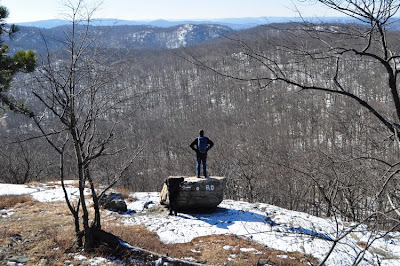 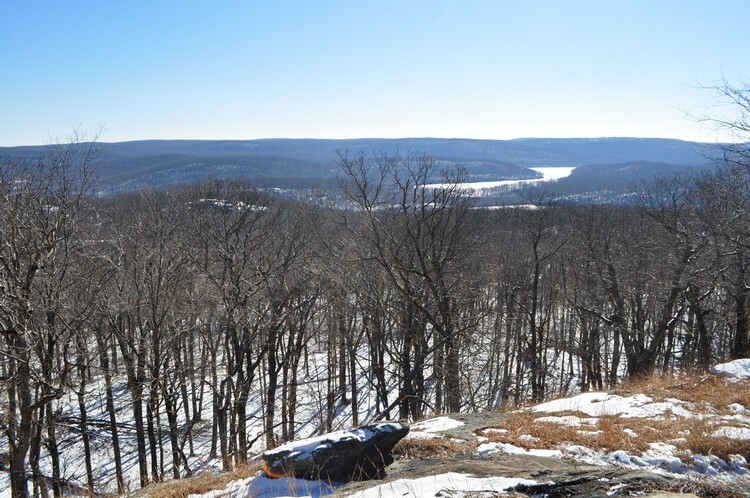 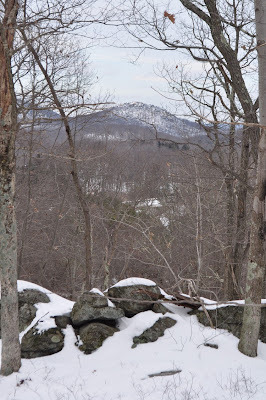 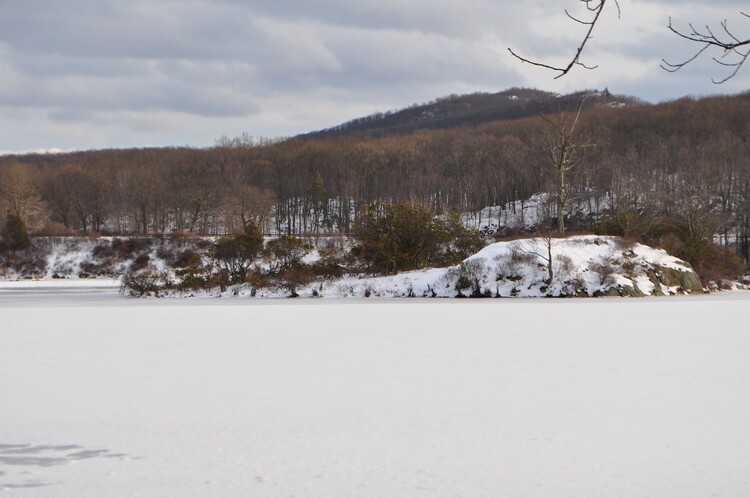 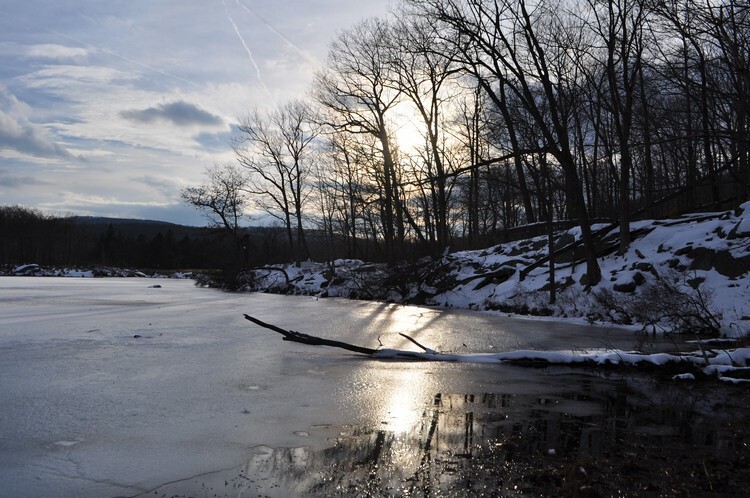 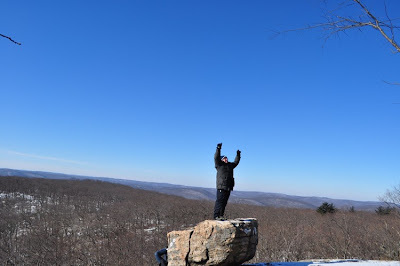 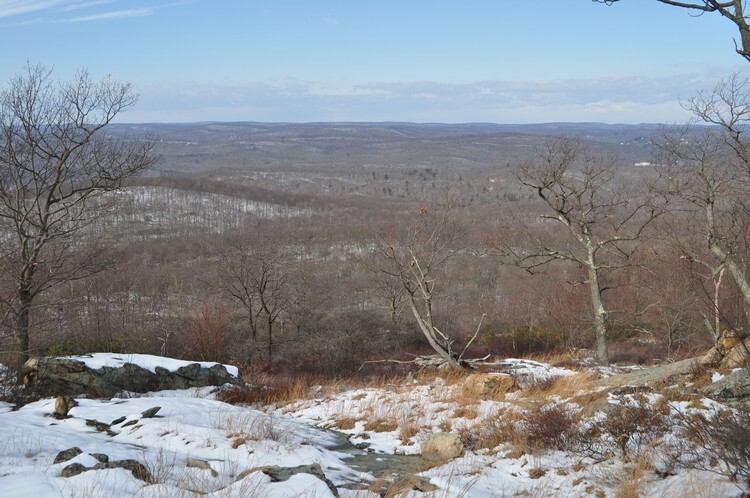 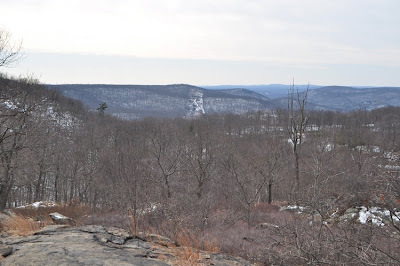 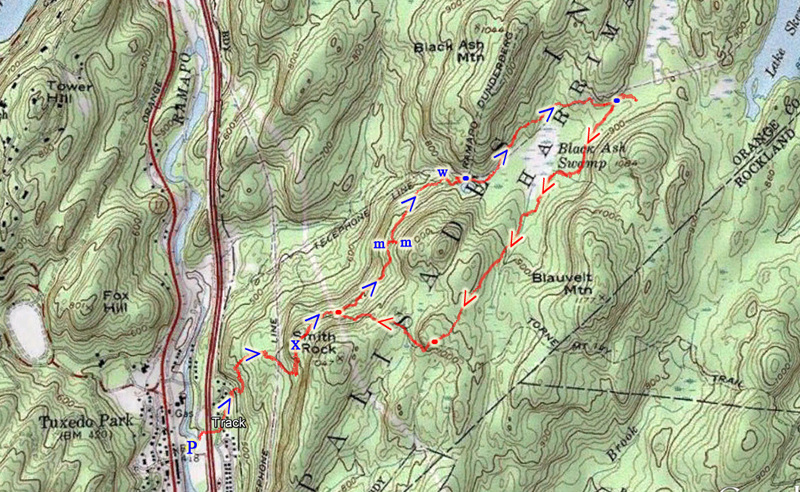 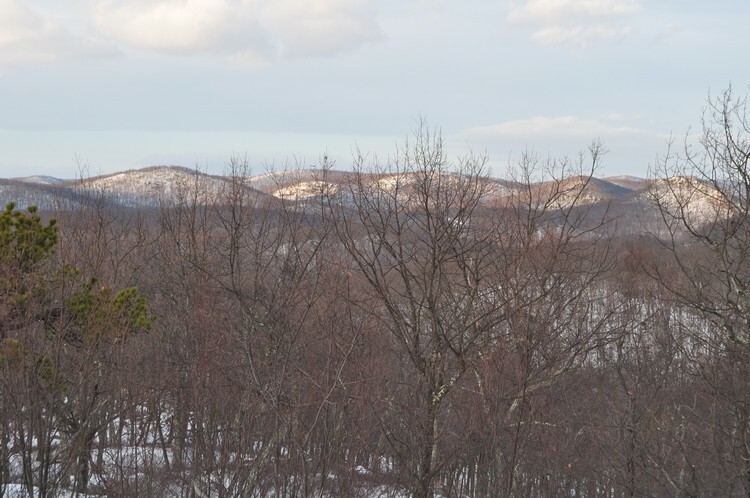 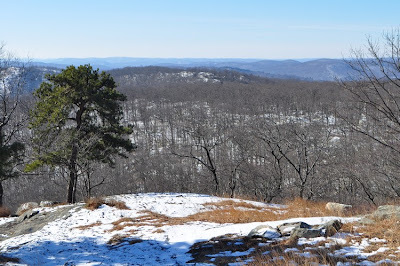 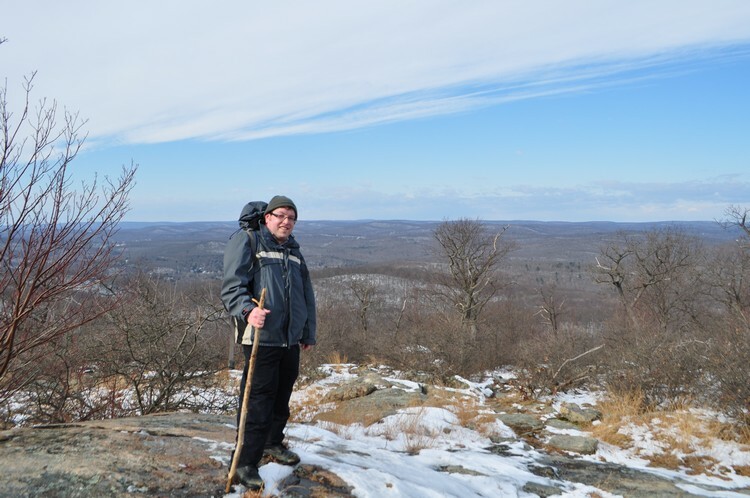 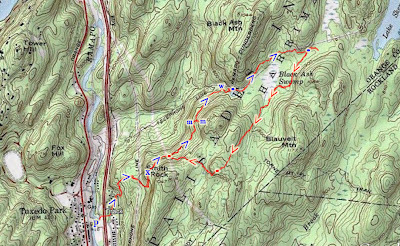 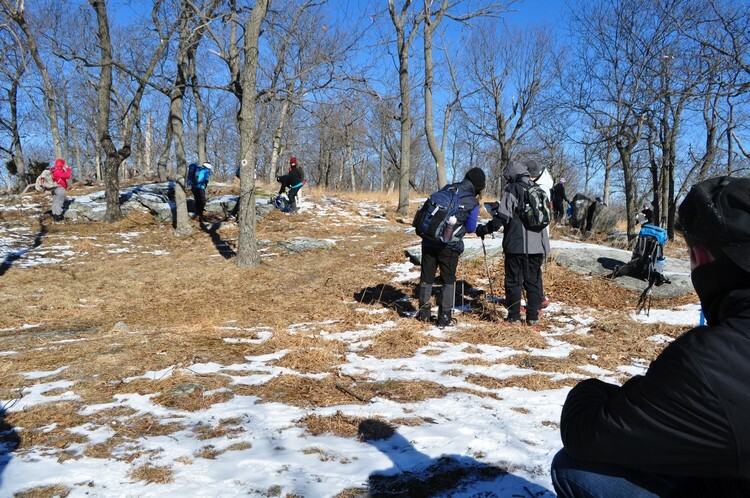 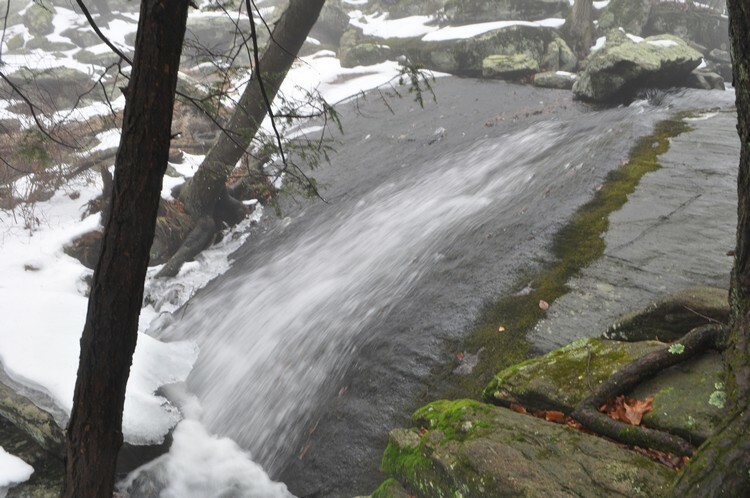 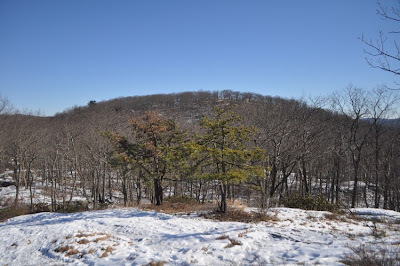 We then went along the White Bar Trail to the Triangle Trail, then back to the summit of Parker Cabin Mountain, and then retraced our steps back along the Ramapo-Dunderberg and Victory Trails. 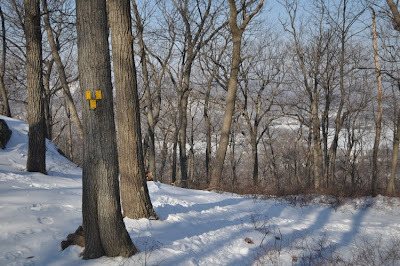 Ascending Parker Cabin Mountain on the R-D Trail. 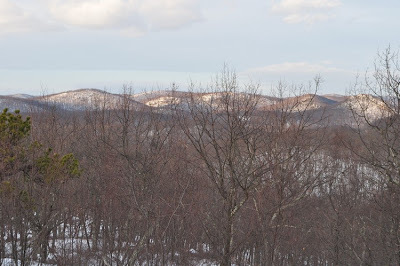 The Southern Edge of Parker Cabin Mountain. 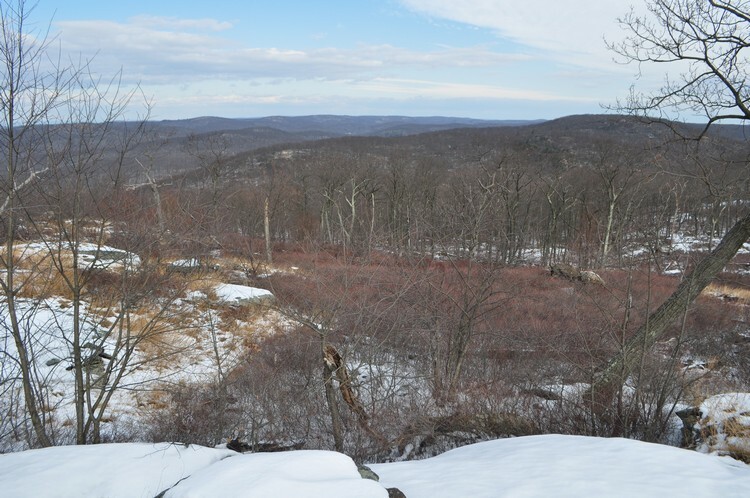 Looking South Above the Cliff. Morty Atop a Rock At The Southern Edge of Parker Cabin Mountain. There was a Very Large Group of Hikers. 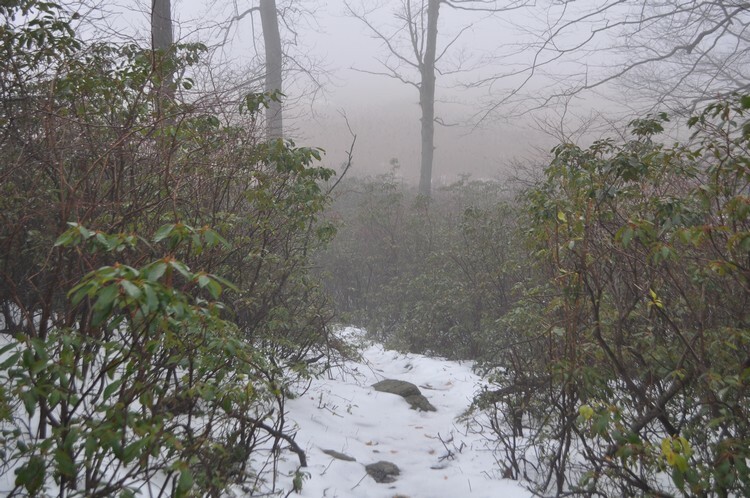 It had snowed again the previous week, and this was a great snow hike. 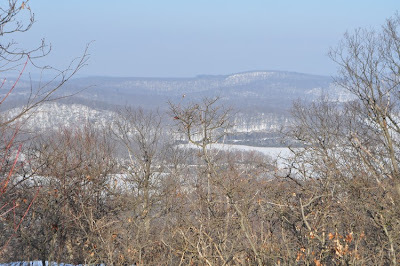 The weather had warmed up to the 40's, but there was a high wind advisory. 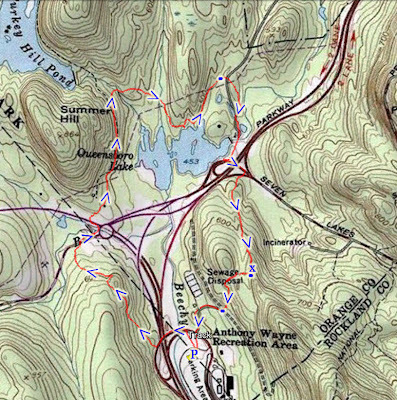 We parked at the Reeves Meadow area on 7 Lakes Drive, and immediately turned up to the Reeves Brook Trail. 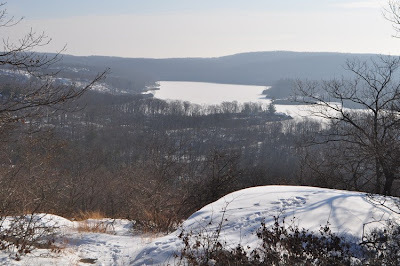 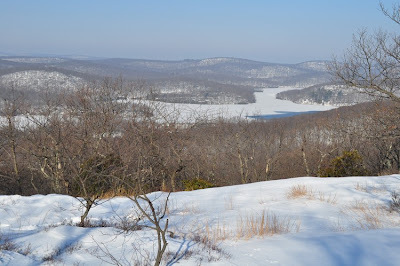 We took the trail to the intersection of the Seven Hills Trail, which we took south to the Torne View. This is excellent view, however we couldn't stay here too long because the howling winds were chilling our bones at this very exposed area. From the Torne View we took the Raccoon Brook Hills Trail, at its eastern terminus, and then took the trail up to the Pulpit view. 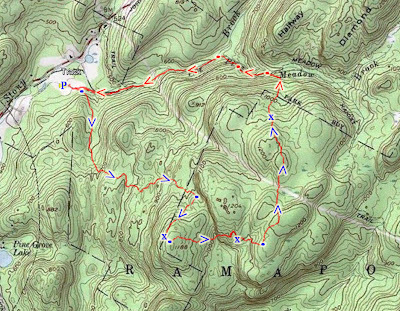 From there we took the HTS Trail north, and then descended the mountain by the Pine Meadow Brook. 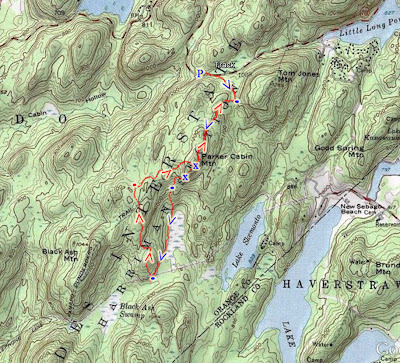 From there we took the Pine Meadow Trail to the unmarked Pine Meadow Trail Connector down to the Stony Brook Trail, then back to the Pine Meadow Trail and back to the car. 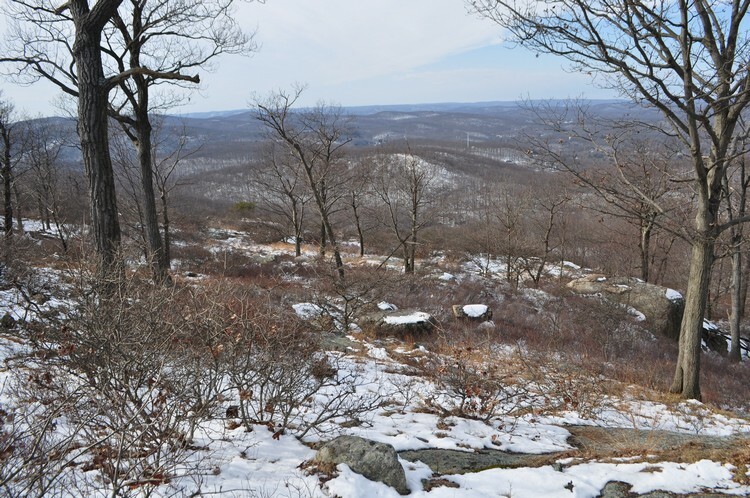 View at North Hill Summit. 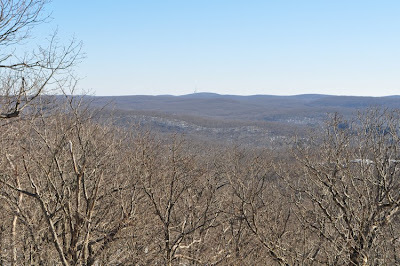 Looking Northeast to Halfway and Diamond Mountain. 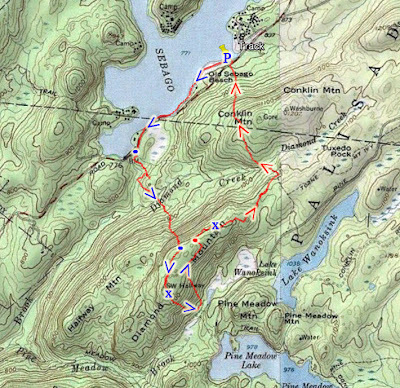 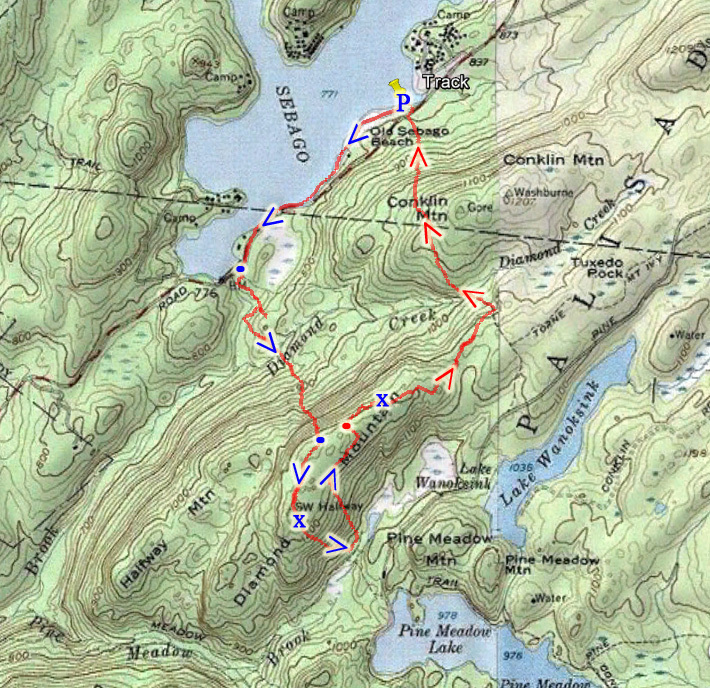 Level of Recommendation: Highly recommended - this is a great hike with a tough climb, good views, and lakes. 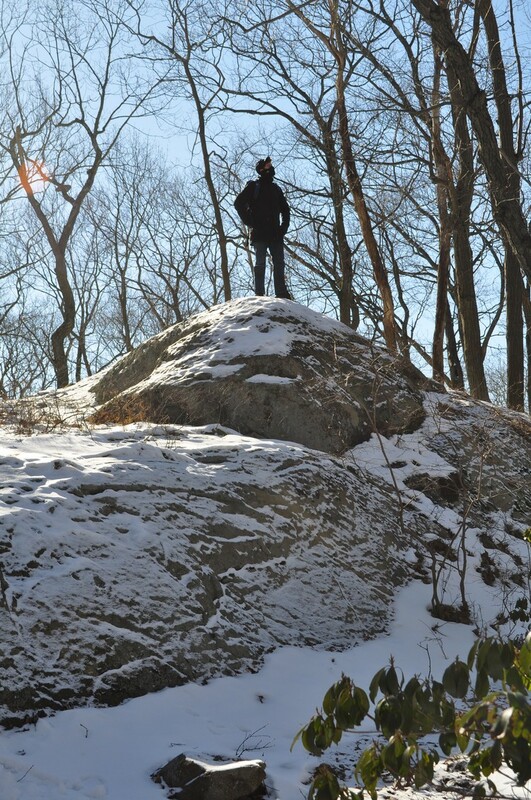 This was an absolutely stunning hike in the snow. 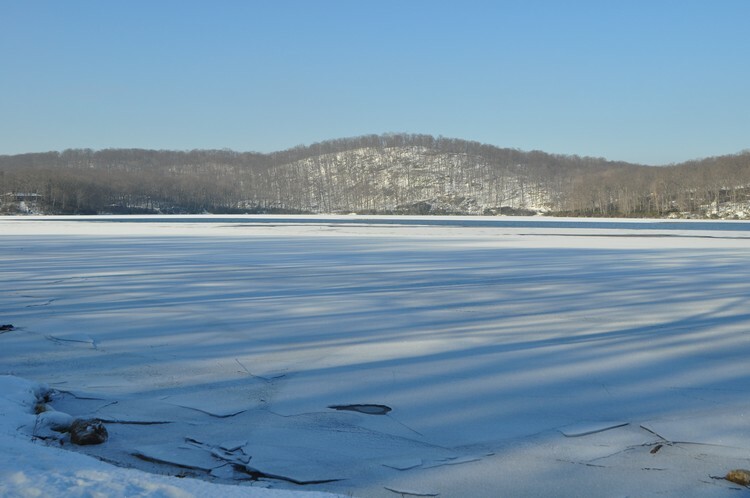 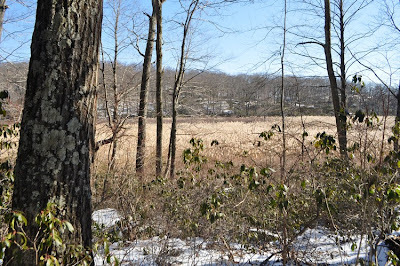 We parked at the parking area and boat launch by Lake Sebago off Seven Lakes Drive, and walked along the scenic, unmarked path along the eastern shore of Lake Welch. We took this all the way near the southern end of the lake, at the dam, where we crossed the road and header for a very short distance on the Tuxedo-Mt. 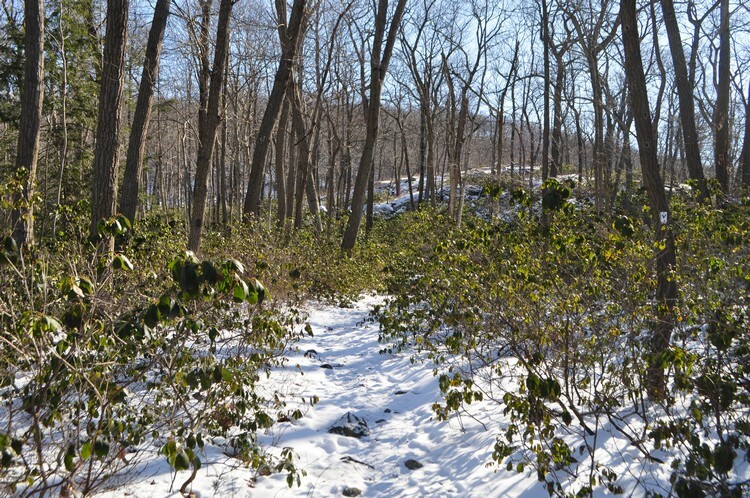 Ivy Trail. 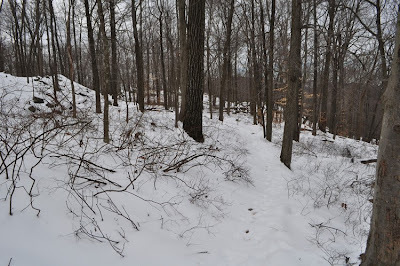 We went off on the HTS Trail, which steeply climbs Diamond Mountain. At the top of the mountain we went off to the Diamond Tower Mountain Trail, which descends the mountain on the other side towards Pine Meadow Lake and then ascends back up the mountain again, forming a U shape. 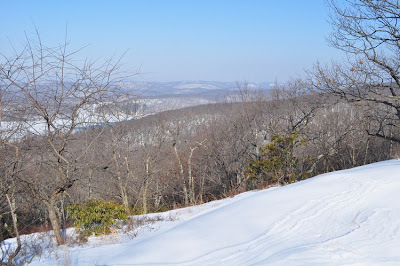 Right before the descent is a fabulous view east of Pine Meadow Lake. 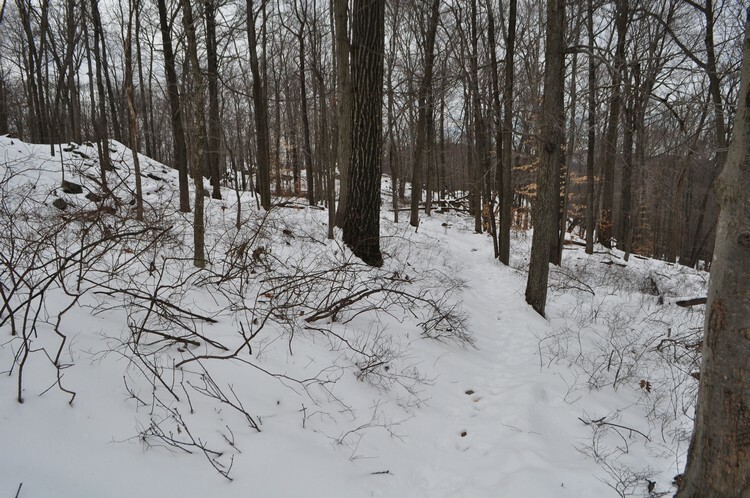 After coming back up the mountain, we reached the other end of the Diamond Mountain Tower Trail, taking this trail in its entirety. We then took the Seven Hills Trail, went over the edge of Conklin Mountain, and then descended back down to the parking area. 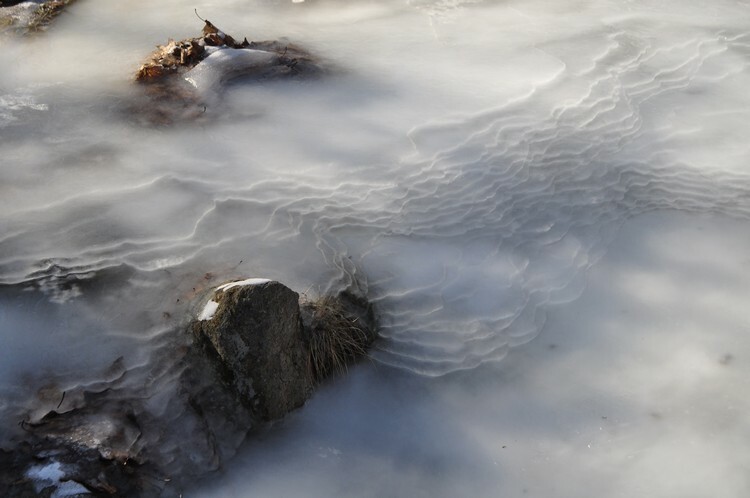 Frozen Lake Sebago. Facing southeast. 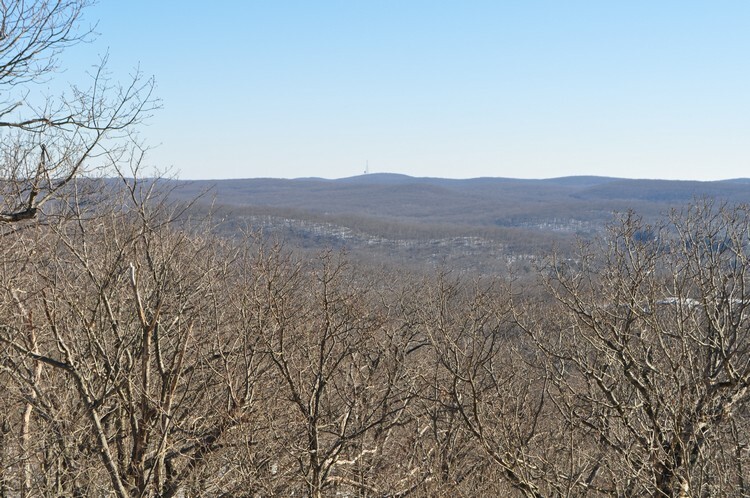 View from top of Diamond Mountain at HTS/7 Hills Jct. 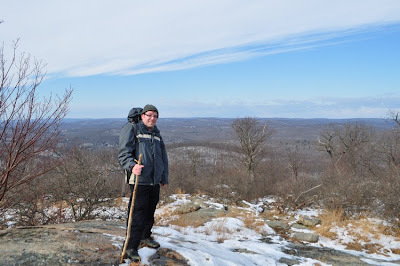 atop the Diamond Mountain Tower Trail. End of the Diamond Tower Mountain Trail. 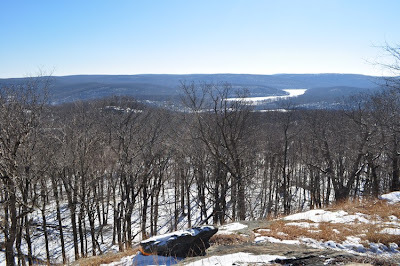 Viewpoint at Diamond Mountain on 7 Hills Trail. Another view at the Above Viewpoint.